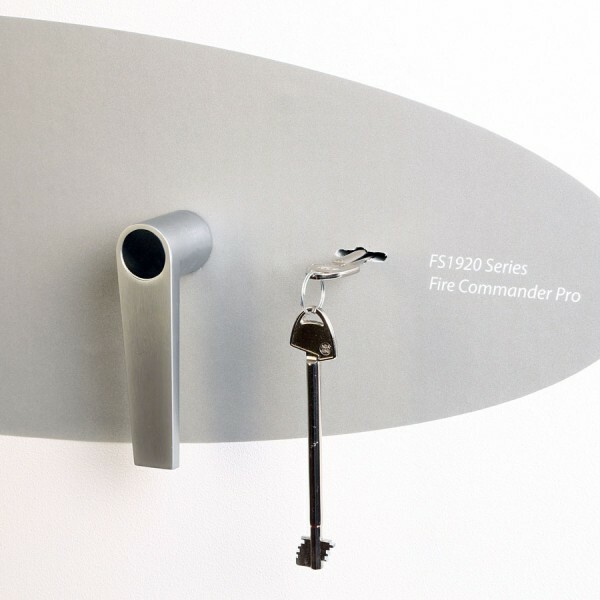 The Phoenix FS1921K Fire Commander Pro offers unrivaled protection for documents, data and cash. Fitted with high security double bitted VdS class I key lock. Tested to the European LFS 60P Fire protection standard (EN15659 ECB.S Certified) giving 60 minutes fire protection for paper documents. 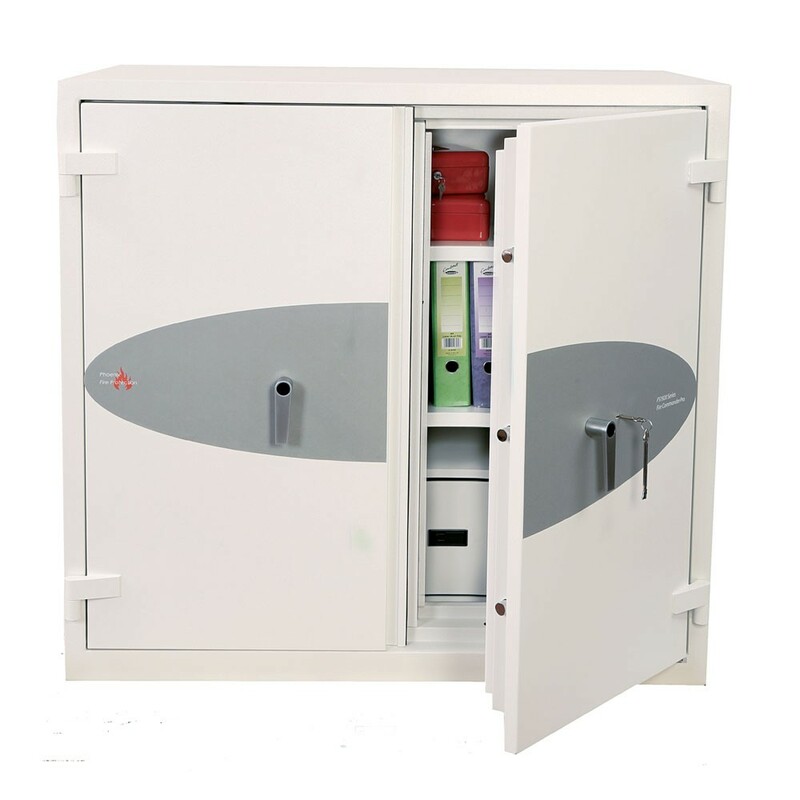 UK Police approved (Secured by Design scheme) and the Association of Insurance Surveyors (AiS). 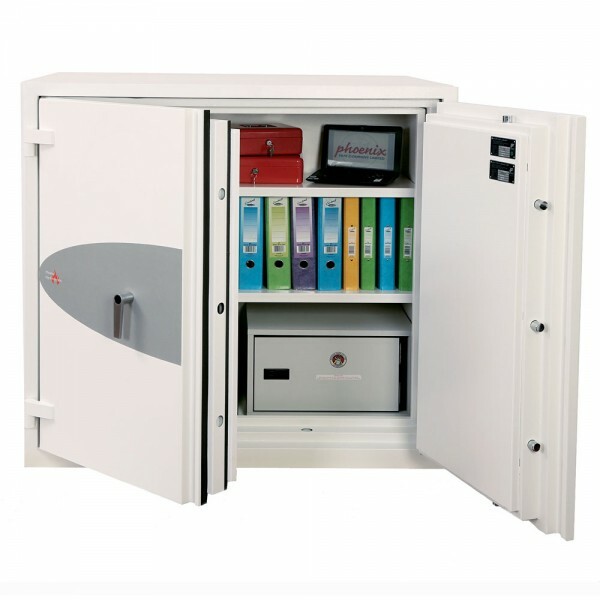 Tested to the prestigious European S2 Security Standard (EN14450 – ECB.S Certified) giving cash cover of £4,000 or Valuables cover of £40,000. Ready prepared for floor fixing with fixing bolts for concrete supplied. Supplied with height adjustable shelves that also includes hanging rails for lateral files as standard. Optional pull-out cradles also available but only suitable if the unit is base fixed.